Dancer and musician Becky Bollinger and musician Aja McCullough Beers, both of St. Paul, met while playing at the sessions at Merlins Rest – both being newbies to the session experience. Becky and Aja are using their IMDA Educational Grant to help with the cost to study song and accompaniment with Norah Rendell and Brian Miller. Their goal is to learn several traditional Irish songs and accompaniment techniques, working toward performance ready arrangements that they can perform together. While they both have studied with the Center for Irish Music for several years and both play in ensembles there, they discovered that they shared and interest in singing – especially in harmonies. Their shared interest led to the idea of taking lessons together with the goal of performing together. Traveling together to the Catskills Irish Arts week in the summer of 2016 allowed them an Irish music immersion experience and then time together at Milwaukee Irish Fest further encouraged the idea of learning together. Becky’s interest in Irish culture began with an introduction to Irish ceili dancing while still a college student. Becky has studied and taught Irish step dancing for several years, and dances with Knocknagow Irish Dancers and Mooncoin Ceili Dancers. Becky studies tin whistle, wire strung harp and guitar at the Center for Irish Music and plays with CIM’s Open Sky Ensemble. Aja first became interested in Irish music while visiting Ireland. After returning home, she began attending local sessions as a listener. During a study abroad experience in Cork, she began her study of Irish music through song and whistle lessons. After college, Aja discovered the Center for Irish Music and has studied with several instructors there (bodhrán, voice, guitar and whistle), and plays with CIMs An Luan Ensemble. Two years ago, she began attending local sessions again, this time as a participant. Both Becky and Aja are very involved as volunteers with the Center for Irish Music and Aja recently joined the staff of the Center as Events and Communications Coordinator. They plan to continue singing together after the grant project is complete, as they apply their new skills to expanding their repertoire. The Irish Music and Dance Association is delighted to help these dedicated young musicians continue to expand their musical skills. We look forward to seeing where their varied interests will lead them. Michael Breidenbach of Saint Paul is using his IMDA Educational Grant to help with the purchase of a new bagpipe. 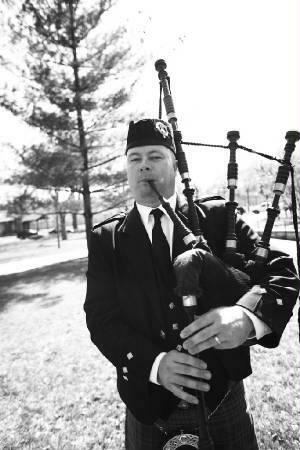 Mike first became interesting learning the bagpipes when he came to Macalester College as a student. The college has a strong connection to its Scottish heritage, including its famous pipe band. Mike had heard the pipes only a couple of times but he never forgot the sound. Mike decided to take advantage of the free lessons – “and see what would happen if I really practiced hard, as I had gotten away with getting by on my trombone and bass guitar.” As Mike tells us “It turns out a lot can be accomplished with some hard work.” He has gone on to become the Director of Piping at Macalester College, and serving in that role since 1999. Mike has significantly expanded the piping and drumming program at Macalester, growing the program from 4 students and about 10 community members to over 40 college students and over 50 community members today. 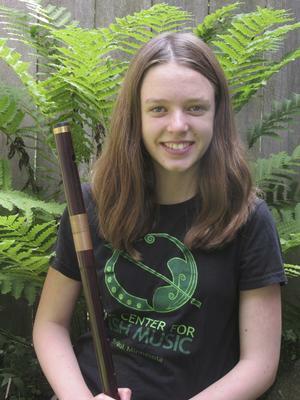 He has also started the Minnesota Youth Pipe Band, with six active members from ages 9 to 14. Mike has plans to lead the Macalester Pipe Band to the Scottish Pipe Band Championships in 2018 and also competes on the Ontario solo circuit. Mike tells us that he feels that it is important to lead by example. Leadership means continuing as an active solo competitor and performer. That goal was the reason for his request for an IMDA Educational Grant. Mike requested help with the purchase of a new bagpipe. He had two reasons for the request. Mike tells us that it’s challenging to maintain on bagpipe for both solo performing and band performing. In addition, his current instrument was built before World War I and was made with ivory mounts. In the current political climate, Mike could run a very real risk if he took his instrument out of the country (to Canada or Scotland) to perform – the risk of having it confiscated when he tried to return home. A fellow piper who recommended Mike for this award spoke enthusiastically about the influence that Mike has had on the bagpiping scene here in Minnesota, through his leadership at Macalester, his commitment to the youth pipe band and his involvement with the larger community. Mike has performed with the Minnesota Orchestra and with the Chieftains, as well as serving piper for the world premiere of the Pulitzer Prize winning opera “Silent Night.” And he is in demand as a solo performer for all manner of events in the community. The Irish Music and Dance Association is delighted to help this dedicated musician continue to grow as a musician and as a teacher. Beth came to her love of Irish dance through contra dancing after finding that she enjoyed both the physical activity and opportunity to make friends and interact with others from different walks of life. Plus - she loves traditional Irish music! Beth began céilí dancing and later step dancing in her hometown of Athens, GA. 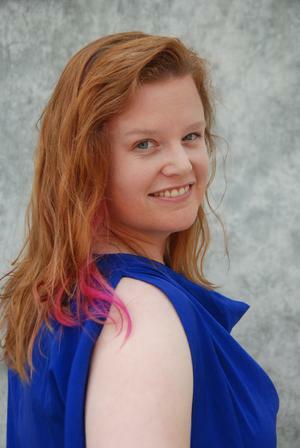 Since coming to Minnesota, she has continued to study step dance with O’Shea Irish Dance and now directs North Star Irish Dance, with classes in both Eden Prairie and Northfield. North Star Irish Dance performs at IMDA’s Day of Irish Dance each year, at Irish Fair of Minnesota and at community events throughout the Twin Cities. Beth holds a Master’s Degree in Adlerian Counseling and Psychotherapy. She serves as a mental health therapist with the Autism Society of Minnesota. This project is a joint venture between North Star Irish Dance and the Autism Society of Minnesota. Beth’s professional experience together with her love of Irish dance make her uniquely suited to create this program. Her Master’s project focused on a curriculum for developing the social life task by teaching and practicing social skills for individuals with a diagnosis of autism spectrum disorder through the medium of dance, specifically Irish céilí dancing. Beth’s class, Full Spectrum Céilí, was offered in the Fall of 2017 at the Celtic Junction. Beth hopes that the class will be a springboard past the social barriers that challenge people with Autism Spectrum Disorder and provide other benefits – joint attention, eye contact, proprioception, short term memory – all in a fun environment. The class will focus on the dance steps and patterns and will also include staff focused on social skills. The IMDA Educational grant will help to keep tuition costs low for participants with the goal of making it accessible. Beth also hopes to bring her love of Irish céilí dancing to more people and to help provide more connections to the Autism community. The Irish Music and Dance Association is delighted to help this dedicated dancer share her love of Irish dance with the larger community. We look forward to seeing her students enjoying Irish dance – perhaps some will join us at one of those Third Saturday Céilís with the Twin Cities Céili Band! Caroline continued to learn from her friend and eventually found her way to the traditional Irish music session in Northfield. Meeting and playing with flutist and singer Laura MacKenzie and fiddler Mary Vanorny encouraged and influenced Caroline’s music making. Caroline made use of a recording device and the online Irish music database to build a repertoire of tunes that would allow her to participate in sessions. She grew from knowing a single tune to leading multiple sets in a night. She continued her study of classical violin music, and found playing her instrument “as a fiddle was far more entertaining and quite absorbing.” She continued to learn lots more jigs, reels and began to commit songs and ballads to memory. Her curiosity about song lyrics led her to study Irish history and fostered her interest in visiting Ireland. Caroline had been a somewhat reluctant player of classical music. Learning Irish music changed all that. She tells us that “Since my Irish music ‘breakthrough,’ I have played my fiddle at every sort of venue from art shows to fish fries to sing-alongs, and even began to perform as a member of a local band.” Caroline even founded a campus Irish music session at St. Olaf, where she is a student, introducing many of her peers to traditional music and encouraging them to come along to the Northfield session. Caroline’s love affair with Ireland has continued to grow and she was longing for the opportunity to travel there. So she enrolled in St. Olaf’s study abroad program in the Fall of 2017, planning to spend a semester at the National University of Ireland at Galway, with coursework in Ireland’s history, dance and music. Caroline used her IMDA Educational Grant to help with airfare for Ireland. In addition to her coursework, she planned to learn songs and tunes at sessions in Galway and the surrounding area and hoped to take fiddle lessons at the University. And she plans “to return to the local music sessions with a new collection of tunes and a better understanding of the culture behind the music.” And to pass along her love of Ireland and the music, as it has been shared with her. The Irish Music and Dance Association is delighted to help this dedicated young musician take the next steps in her musical journey. Ava has performed at IMDA’s St. Patrick’s Day Irish Celebration at Landmark Center as well as in youth sessions in pubs, hospitals, local cafes, at family camping gatherings up North and with her friends. And she’s shared her love of Irish music by teaching her friends to play tin whistle. She also leads a music class as a volunteer at an area day care center. Ava hopes to travel to Ireland when she’s older – and play music. Ava would like to teach at the Center for Irish Music someday – maybe she will tour with her own group one day or start a music school of her own! The Irish Music and Dance Association is delighted to help this dedicated young musician take the next step in her musical journey. Mary Vanorny of Farmington has been playing Irish music for a long time. Mary’s lifelong interest in traditional music developed in to an interest in Irish music, leading to her joining a series of Irish bands (currently Brass Lassie, Two Tap Trio, Twin Cities Céili Band and Common Reel), attending concerts, playing in sessions, and traveling to Ireland. A request from one of her classical music students for some Irish tunes made her realize that she wanted to know more about Irish music, especially the subtleties of the different Irish styles. 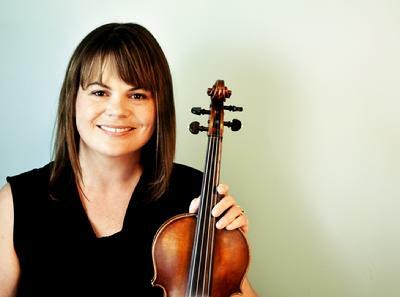 Mary became very interested in learning Sligo-style fiddling (made famous by dancer and fiddler Michael Coleman when he emigrated to New York in the 1920s). Following the trail of one of Coleman’s students led Mary to All-Ireland champion Brian Conway, well known in the Irish music world as a leading exponent of Sligo-style fiddling and a skilled teacher. Mary began taking classes with Brian via Skype. Mary wanted an immersive experience. Fortunately, Brian Conway teaches at a traditional music camp each year in Portal, AZ. Portal Irish Music Week would give Mary and the other students expert mentoring on technique, style and musical expression and “the chance to play as much music as your fingers can stand.” This was just the kind of experience that Mary was seeking. Mary’s IMDA Educational Grant helped with the tuition for the program, which she attended in October of 2017. Brian’s letter of recommendation for Mary commented “I am truly impressed with the progress Mary has made as a student.” He went on to recognize “the pivotal role Mary plays in the promotion of Irish fiddle music in the Minneapolis-St. Paul area.” IMDA also notes that Mary played an important role in recommending Caroline Priore for an IMDA Educational Grant this year. 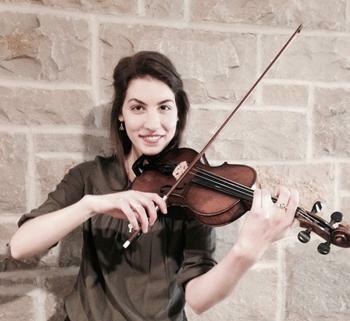 The Irish Music and Dance Association is delighted to help this dedicated musician and teacher continue to expand her musical skills. Annie was delighted when she first heard about the World Championships and set her sights on participating. Her hard work and discipline have helped her reach that goal – she competed in the World Championships in Dublin, Ireland in the Fall of 2017. 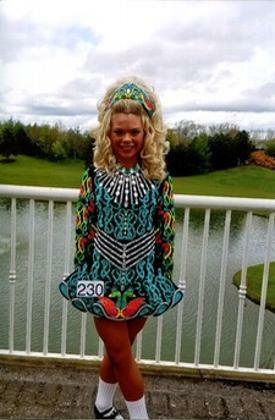 While she enjoys competing, Annie also enjoys performing at the many community events that welcome Irish dancers – nursing homes, schools, hospitals and community centers. She especially enjoys the nursing home audiences – who love to clap along and smile during the performances – and visiting with the audiences after the shows. Annie contributes to the community as a volunteer for Irish dance events, including managing the beginner stages at competitions. Like many young dancers, Annie was “blown away” when she first saw Riverdance: The Show and she “knew right away that she wanted to be on stage with them one day.” Annie was accepted into the Riverdance Academy in Boston this past Summer. The school is led by Riverdance professionals; it teaches the iconic choreography, along with the training and nutritional guidance for professional dancers. Her IMDA Educational Grant helped with the travel and tuition costs for the program. Annie’s mom tells us that Annie said “it was one of the best weeks of her life!” The program included the opportunity to meet Ciara Sexton, a dancer who has inspired Annie for many years. The Irish Music and Dance Association is delighted to help this dedicated young dancer continue to pursue her dreams.